Very many types of coins are available. 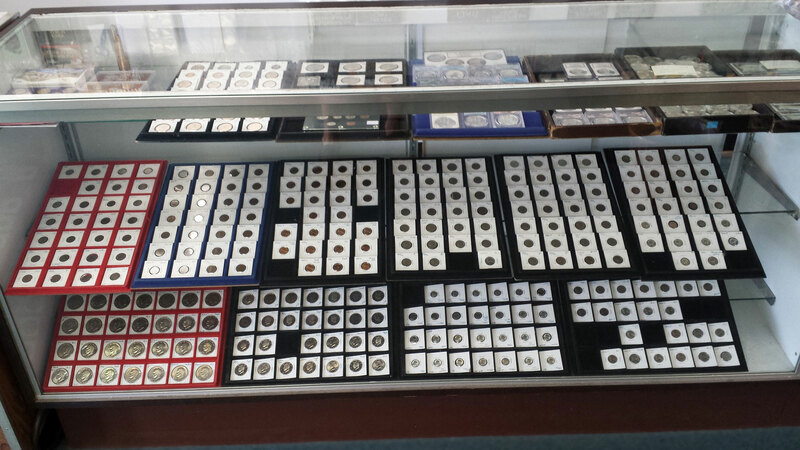 This is just one of several display cases of coins for sale. You are one of the biggest certified coin dealers in Tampa. Who is your target market? 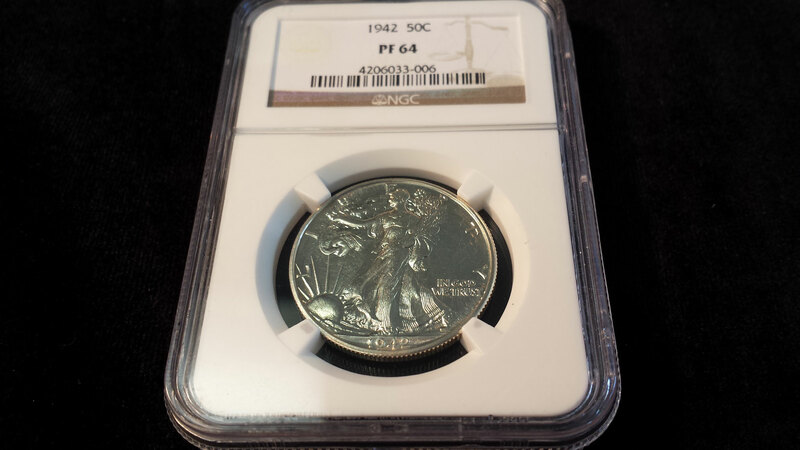 Jack: A fair deal when buying and selling certified coins. 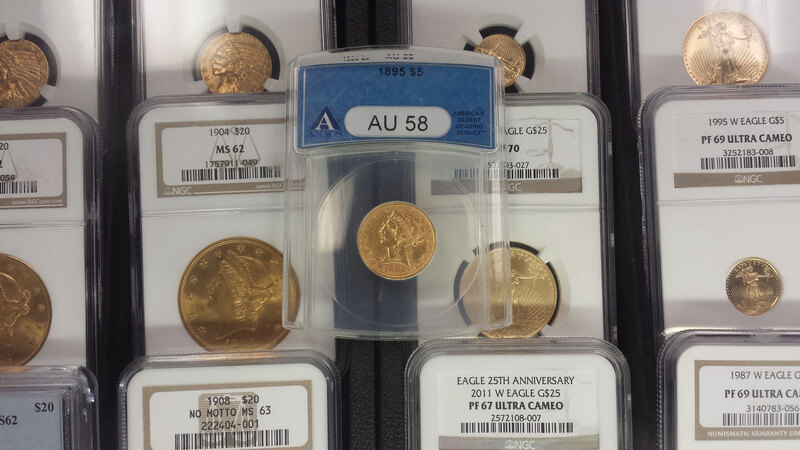 At A Village Stamp & Coin we have an incredible selection of certified coins. Jack: Price. 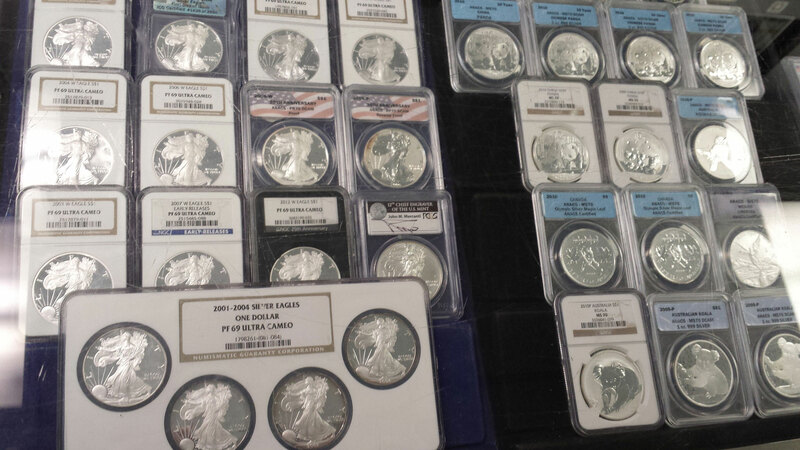 And an incredible selection of certified coins. 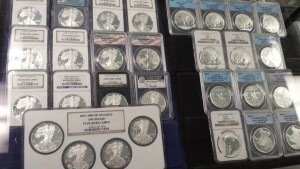 What would be the likely customer objections to buying certified coins? What are some reasons your customers don’t buy? Jack: That we don’t have what they’re looking for. In this type of business, no store is going to have everything. It could be what they’re looking for isn’t in our inventory at the moment. What risks are involved? 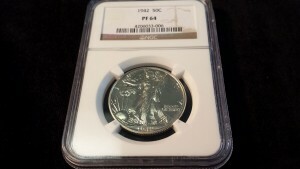 You can always buy a coin that goes down in value, right? Jack: Coins are a market driven investment. Silver is a market. You’re buying commodities. If you’re buying for a hobby, what does price matter? You can go, okay, I can collect toy trains. I know that new toy trains from Kmart are eight dollars. Okay? You paid eight dollars for it. You can put it on the wall and enjoy it. Frank: I’ll give you a perfect example. This coin right here, is my coin. I bought this, and paid 58 hundred for it. I got its twin. I paid 78 hundred for this one. Okay? It’s worth 62 hundred right now. So I’m up four hundred on this one, if I sold it. But—I’m down 15 or 16 hundred on the other one. So I mean, it’s just like the stock market. It’s the same identical thing, what Jack was saying, is it’s the same identical scenario as the stock market. You can’t predict what’s going to happen five years from now, or ten years down the road. So, the only thing you can hope is it’s going to go up. But—you can’t guarantee. What are some things customers commonly misunderstand about coin collecting? 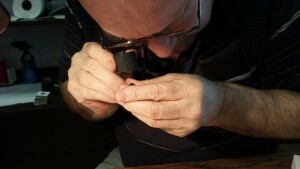 Jack: The coin collector has kind of taken a back seat to the coin investor. I’d say most of our people who buy coins buy them for investment. Whether they’re buying cheap coins or expensive coins, they’re buying them for an investment. 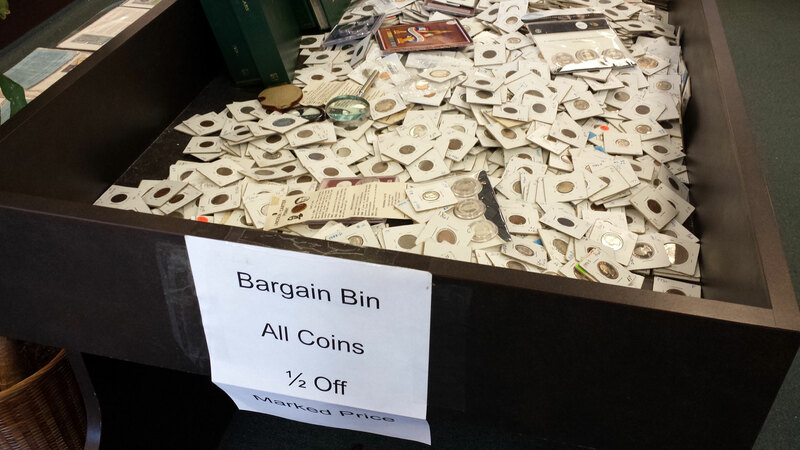 They might come in and buy a hundred dollars worth of cheap coins and get thirty coins. And I’ll tell ’em, “It’s not a good investment.” “Well that’s all that I can afford.” Well you should buy one one-hundred dollar coin. And I’ll try to find a coin that has potential for you. They can’t bring themselves to buy a quarter for a hundred bucks. But they can buy thirty pennies for a hundred bucks, and be just pleased as punch with themselves, and when they go to sell them, they’ve lost all their money. If you buy a fifty-cent item, how much profit do you suppose is in that fifty-cent item? Forty-nine cents? So, you’re paying this huge premium. If you buy an ounce of gold—gold you can sell at thirteen hundred all day long—and you come in here and you’re buying it for thirteen hundred and forty dollars, and you’re working on a couple of points. And you’re in a market where you have potential for growth, versus, “Well I just wanted to put some coins away for my kids.” Well, yeah, buddy, you know that’s thing’s got to go up eight hundred times for you to get your money back. I mean I’m not going to sell you a quarter item unless I’m making a quarter on it. If I have to take five minutes of my time, I’ve already lost money looking at that quarter. People don’t understand that. There’s this mindset out there, it’s an old coin, it’s valuable. A guy came in here with a 1907 nickel the other day. He was convinced it was worth a lot of money. So I just showed him a whole bucket of them. He said, “Well, I came across town, can’t you give me something for it?” I said, “What do you want me to do, pay more than it’s worth?” He kind of looks at me. And I said, “It’s just an old nickel, I buy ’em for a dime. So what do you want me to do, give you a quarter so I can lose fifteen cents?” It’s just a waste of time, his and mine. But yet it’s a 1907 nickel, it’s a hundred and seven years old. It’s a treasure. And you know what? That guy’s unhappy and no longer interested. He should have started by learning more about certified coins. 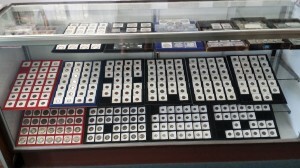 Bring your certified coins to our store at A Village Stamp & Coin in Tampa for a free verbal appraisal of your certified coins. Jack: Questions about investments, and I don’t have all the answers. But a general rule of thumb is if you buy investment grade coins it’s a twenty year hold. 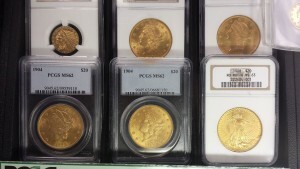 If you want to buy bullion, that’s different. 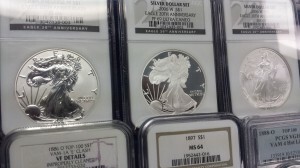 But buying investment quality coins, you should be looking at a minimum of a ten to twenty year hold. I keep telling them, “You want me to sell you an investment coin?” “Yes, I do.” “Okay, buy this one, it’s good. But don’t bring it back in three months. You will lose money. There’s a dealer’s premium in and out.” But many people don’t understand that, and they think, “I bought a coin here, and I can go home, and then come back tomorrow and they’ll give me more money for it.” Believe me, that is a rampant thought out there, to assume the market is going straight up in value. Someone bought a hundred dollar coin, and they expect it to be worth a hundred and ten dollars tomorrow. They bring it back and I’ll likely give them a few dollars less than a hundred for it, as a dealer has to make a profit. They still haven’t made any money. And they believe the market’s going straight up.